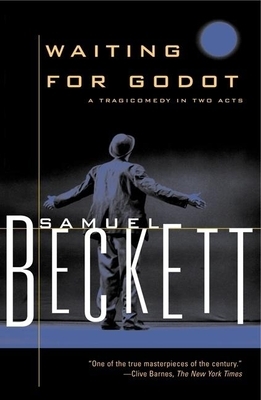 A seminal work of twentieth-century drama, Waiting for Godot was Samuel Beckett’s first professionally produced play. It opened in Paris in 1953 at the tiny Left Bank Theatre de Babylone, and has since become a cornerstone of twentieth-century theater. The story line revolves around two seemingly homeless men waiting for someoneor somethingnamed Godot. Vladimir and Estragon wait near a tree on a barren stretch of road, inhabiting a drama spun from their own consciousness. The result is a comical wordplay of poetry, dreamscapes, and nonsense, which has been interpreted as a somber summation of mankind’s inexhaustible search for meaning. Beckett’s language pioneered an expressionistic minimalism that captured the existentialism of post-World War II Europe. His play remains one of the most magical and beautiful allegories of our time. Samuel Beckett was born on April 13, 1906, in Ireland. Best known for the classic "Waiting for Godot," he was awarded the Nobel Prize for literature in 1969. He spent most of his life in Paris and died there in 1989.